On 11 November 1914 at a matinee at the Empire Theater John George Lambton 3rd Earl of Durham whose brother was killed on the Western Front less than two weeks earlier states the opinion that he would “wish that the Germans would drop a shell among these footballers some Saturday afternoon. I really think it would be the best method of waking up the young men of Sunderland”. 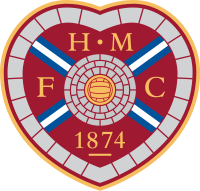 In two weeks 16 members of The Hearts of Midlothan join the 16th Royal Scots becoming the only team in the history of British football to enlist en masse in the armed force. Seven members of the first team will lose their lives in the Great War. Private James Hodge Speedie (Cameron Highlanders) will be killed in action 25 September 1915 at age 21. His brother will be killed in June 1917. Corporal Thomas Gracie (Royal Scots) will die of pneumonia and leukemia at age 26. He set a club record by scoring 28 goals last season leading the Scottish Football League in scoring. He also earned a International Cap this year. His brother and brother-in-law will lose their lives in 1915. Three members of the Hearts of Midloathian lose their lives on 1 July 1916 in the first day of the Battle of the Somme serving in the 16th Royal Scots. Sergeant Duncan Currie is killed at age 23. Private Henry Wattie is killed at age 23. Private Ernest Edgar Ellis is killed at age 30. Private James Boyd (Royal Scots) is killed in action 3 August 1916 at age 21. Lance Corporal John Allen (Royal Scots) is killed 22 April 1917 at age 30.